Comments: Originally the plant has green leaves with white or pink spots. 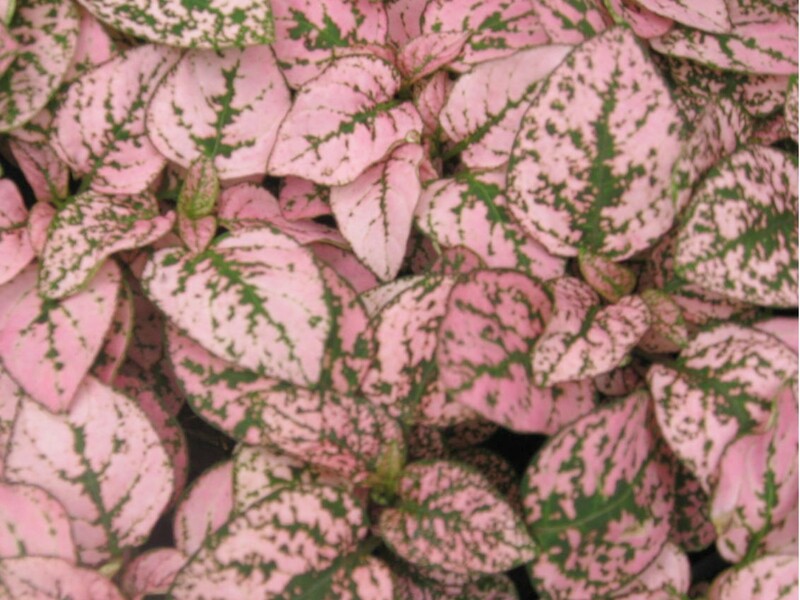 Now there are selection that are red and those that are pink with green dots or splashes in the leaves. It has long been grown in dish garden and is used as an annual in outdoor gardens. Does not tolerate direct sunlight. Mealybugs feed on it. Does not like tap water unless it has been allowed to set a day or so to allow chlorine to escape. Flowers of this plant are not very showy.